Squarz is a cafe and bakery based in Tempe, Arizona. They also run a WordPress catering website. Squarz wanted to make it easy for customers to place larger orders online. Like many food businesses, they installed the WooCommerce Product Table plugin on their catering page. It allows Squarz to list their full selection of pies, pastries, salads and drinks in a bulk order form. Some products have multiple variations and options that the customer must decide between. 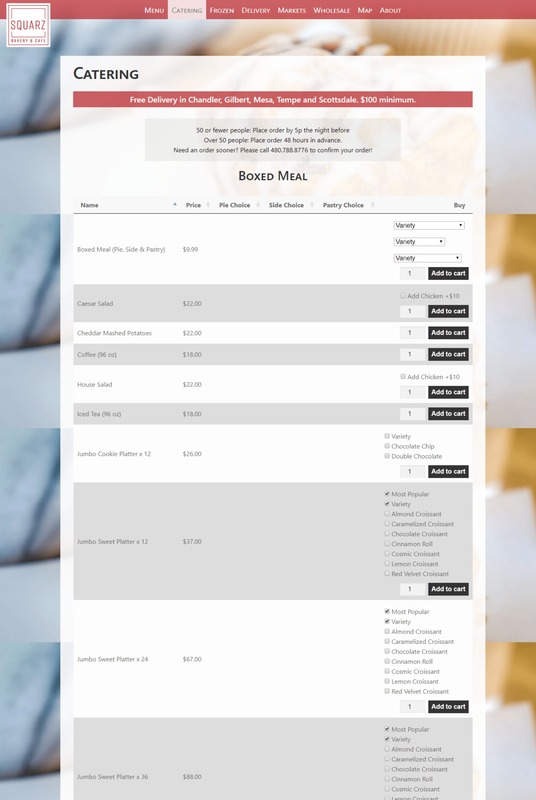 Standard variations weren’t flexible enough for Squarz, so they used WooCommerce Product Table with the Product Add-Ons plugin to add extra dropdowns and tick boxes. Customers can make a selection before adding the product to their shopping cart. The table has multiple columns including price, name and pie crust. The customer can sort the table by clicking on a column header. So if they’re looking for purse-friendly pies, the customer just needs to click on the price column to see the cheapest products first. 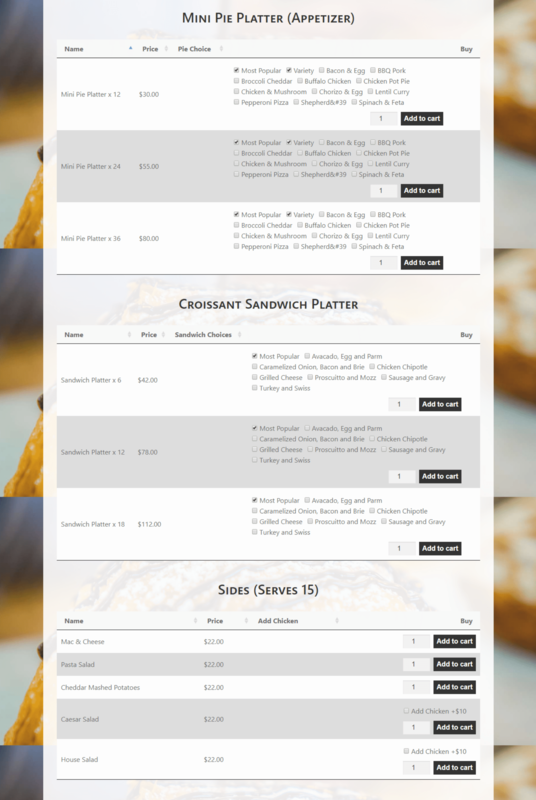 Use WooCommerce Product Table to create a WordPress catering website and online order form.